The Redmond-based software maker has announced that Windows Vista will not be distributed in 6 editions, as originally planned. Instead, Windows Vista will be offered as an extension to Windows XP, for it is truly another security and 'eye candy' patch. The announcecement wrought great shock upon Windows users. Its hidden implication was that Windows Vista, after 5 long years in the making, was merely an operating system that is already in use. Analysts have called Windows Vista "Service Pack III", alluding to the fact that it merely adds critical patched to an already troubled operating system. 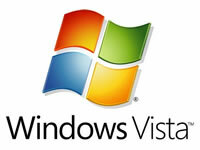 Announcements from Microsoft adamantly insisted that Vista will bring much innovation to the world, despite being an add-on package to Windows XP. "Vista has implemented a brand-new component called Aero, which we believe to be superior to the Aqua and Brushed Metal combination in Mac OS X", they said. "Imitation from Apple", they added, "has been incorporated solely into the next version of Office". Microsoft Office is probably the primary victim, taking a toll in the progressive decline of the software maker. The inability to advance in terms of product development has come to show its signs. Microsoft's (MSFT) stock has taken the tumble in early trade, crashing by no less then 13% due to decreased investor confidence and highly-pessimistic outlook.